This is a Pontiac V8 block that has beem made into a coffee table. 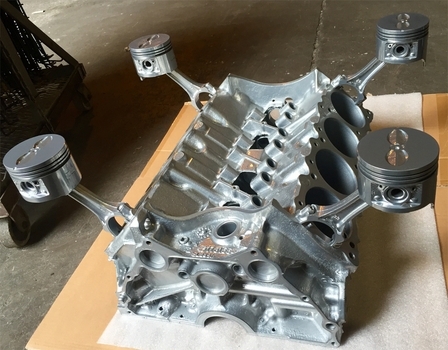 The connecting rods have been machined to the block to support the pistons in an upright position that hold the glass top. If you are a Pontiac car guy, this is a coffee table that you'll be proud to have support your beer and pizza.